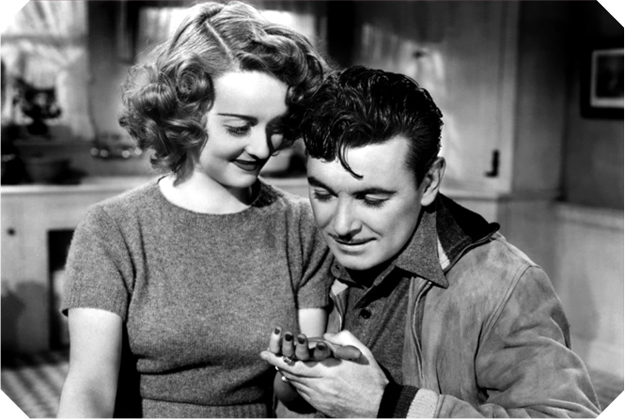 Dark Victory, starring Bette Davis and George Brent, is the "Movie of the Week." Naturally, Life gives away the ending (you might need a hanky for this one, folks). Thankfully, Dark Victory is an excellent example of melodrama. It seems that they're so easy to do badly! What is particularly interesting in the Life article, though, is the breakdown of Dark Victory's budget. The entire production cost $800,000. The cost of all the film used was $15,000! Davis and Brent had to split $85,000, which comes out to about $1.3 million in 2010 dollars. I guess they were used to sharing the big bucks--Dark Victory was Bette Davis and George Brent's eighth film together. We've had a couple days of rather warm weather, so I wanted to make something quick and easy. The asparagus is the asparagus salad from last week and the portobello mushrooms are made using this recipe from last year (but with thyme instead of parsley). 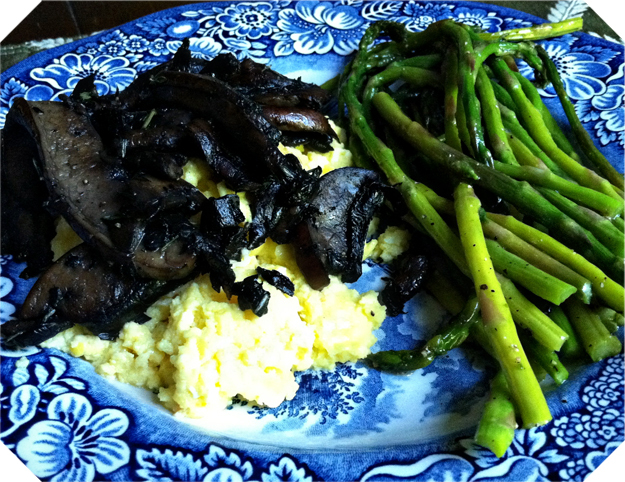 I served the mushrooms over crème fraîche scrambled eggs. Melt the butter in a small skillet over medium heat. Meanwhile, break the eggs into a large bowl and beat with a fork until the yolks are completely broken up. When the butter is melted, pour the eggs into the skillet and cook, stirring with the fork (don't use a non-stick skillet!). Add the crème fraîche and keep cooking (and stirring) until eggs are as firm as you'd like. Turn down the heat, if needed, to keep the eggs from browning. Season to taste with salt. You could also add herbs, scallions or even top with caviar. Yum yum! Oh my gosh, I watched Dark Victory a month or two ago, and I can say with certainty that it is one you will need an entire box of tissues for. 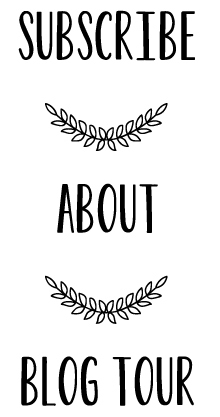 But, it really is done well - its not one of those ones where you feel like its all stupid and just going for unnecessary drama. Bette is incredible in it! Mmm those creme fraiche scrambled eggs look divine. Who doesn't love Bette Davis and Dark Victory is a classic. What a coincidence, I prepared portobello mushrooms and asparagus in garlic butter for dinner last night. It was my side for pork in red curry and steamed rice.